Studies have found that up to 80% of the content you see on Pinterest is repins. With that number, it’s easy to understand why repining on Pinterest is an important part of any Pinterest user’s strategy or at least should be. Do you have a strategy for repining strategically? If not, you’re missing out on some great opportunities. With the help of repins, you can become the go-to source for information in your niche by sharing valuable and informational content. The account you repinned from might return the favor and repin your content, giving you a bigger reach to a new audience, meaning new followers, more traffic and even sales and more repins. When you repin from an account, they get a notification about the repin meaning that you are building awareness of your page while possibly creating the start to a fruitful relationship. Saves time instead of creating content all the time. As you can see, there are some quite valuable advantages with repining but still, a lot of people aren’t doing it, stressing out about creating fresh content instead. How can you repin on Pinterest effectively? Once main reason that people aren’t succeeding too well on Pinterest can be because of two reasons. They don’t have a strategy and 2, they aren’t repining. If you don’t have a repining strategy yet, it’s time to create one. Are my followers interested in this? Will my followers gain any value from this post? How many times has the post been repinned before you? Is there a chance that my followers may repost this? These questions should help you get started, so let’s go more in-depth to get a better understanding of what they really mean. This is a question that you should basically ask every time you are posting something on social media but the same goes for when repinning on Pinterest. Think about if your followers have decided to follow you because they want to see this type of content. If you previously have only posted photos of motorbikes and now all of a sudden, you’re beginning to post pictures of flowers, there’s a big risk that people will decide to unfollow you because they aren’t really interested in what you are posting. This is yet another question that you should ask every time you’re posting something on Pinterest or any other social media platform for that matter. Make sure that you bring any value to the person seeing it instead of just wasting their time. This is a good question to ask. Before you are repinning an account, take a look at who it is that you’re repinning. If it’s a person that might be interested in your page and start following you or even buy your products? Repinning is a good way to give without taking as it creates an image of you as “generous” which can have great consequences in the future. When you’re repinning, you’re most likely to repin from accounts in the same niche as you because their followers like the same thing as your followers. This is why taking a look at how many times it has been repinned before you is a great way to measure popularity and how well it will perform on your page. If the pin has been repinned fewer times than all of the other pins, then you might want to reconsider and take another one. If the followers of the account you’re about the repin from doesn’t like the post, there’s a big chance that your followers won’t either. Getting repins yourself is an excellent way to reach a bigger audience and grow your followers and this is why this is a good question to ask. You will want to make your repins as “repinnable” as possible because if you succeed with that, you’ll grow your page rapidly. 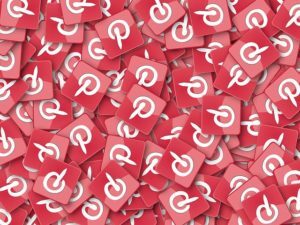 Repinning on Pinterest is a brilliant way of growing your page but it’s very important that you have a strategy of repinning. If you aren’t already repining, you’re missing out. Big time. Start repinning today with the help of the questions above. These tips are essential on How to Repin on Pinterest Effectively so make sure you use them all! How are you repinning on Pinterest? Have you had any success repinning on Pinterest? PrevWhen are the Most Active Hours to Post on Instagram?